They call him the “genius” and they call him the “father of soul.” With perfect pitch and an expressive voice, he combines worlds as diverse as jazz, country, rhythm and blues, and gospel to break your heart or make you dance. His name is Ray Charles, and if you turn your radio to any station you will hear the influence of his ground-breaking music. 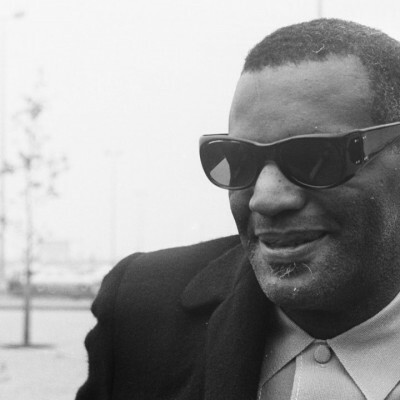 Ray Charles was born into a poor family on September 23, 1930 in Albany, Georgia, though he was raised in Florida. Completely blind by the age of seven, Charles attended the Saint Augustine School of the Blind and Deaf where he began to study piano, saxophone, and clarinet. When he was only fifteen his mother died (followed two years later by his father) and Charles began working as a traveling musician throughout Florida, and later Washington state. Charles spent the rest of the 1950s continuing to combine blues, gospel, and jazz in such hits as “In My Own Tears,” “What’d I Say,” “Unchain My Heart,” “Hit the Road Jack,” and “Georgia on My Mind.” With these dynamic compositions and his incredible popularity, Charles single-handedly changed the face of contemporary music. By the early 1960s, he formed a big band and had a top ten instrumental hit with “One Mint Julep.” He followed this with the 1962 release of GENIUS + SOUL = JAZZ, and a number of very popular country albums. With the release of MODERN SOUNDS IN COUNTRY AND WESTERN (Vol 1 and 2), Charles brought his unique style to a new audience and had major hits including “I Can’t Stop Loving You,” “Born To Lose” and “Busted.” In the mid-1960s, he was arrested for drug possession, which prompted his successful fight against a seventeen year heroin addiction. During this time, Charles kept a low profile though he did have hits with a number of Beatles’ covers, and the song “Crying Time.” His output during the 1970s included work with singers Randy Newman and Stevie Wonder. In the 1980s, Charles was often in the public eye, making frequent appearances on television and in the movies. He had a number of albums and performed duets with many well-known musicians including Willie Nelson, Chaka Khan, and the Blues Brothers. His appearance on the 1985 release of “We Are the World,” brought a renewed interest in much of his work. During the 1990s he continued to write and perform, and in 1992 President Bill Clinton awarded him the National Medal of Arts. 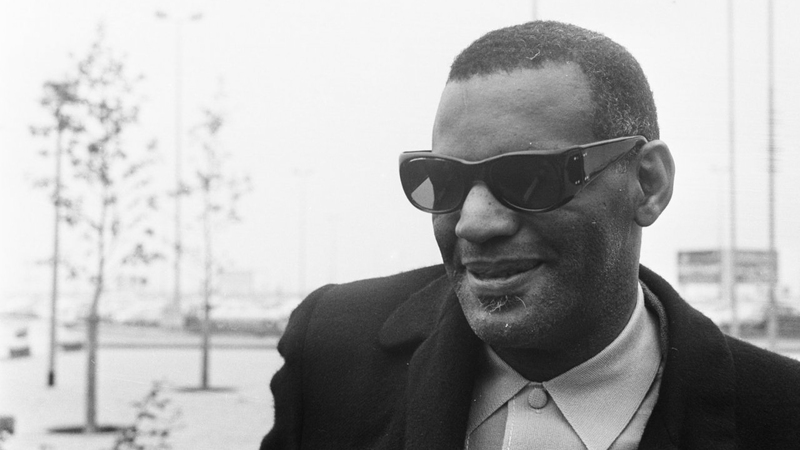 To this day, Ray Charles is one of the most important influences on popular music. His passionate singing and intelligent melding of different genres remains the ideal by which many musicians continue to gauge their work. Ray Charles died on June 10th, 2004.